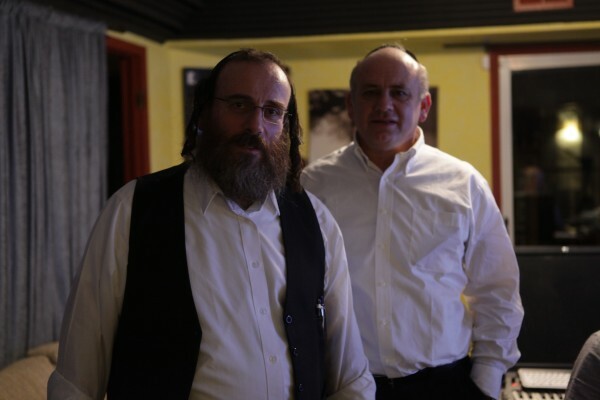 Acheinu, the Kiruv arm of Dirshu celebrates it’s 20th year. In honor of this milestone, Dirshu presents this CD to the public. 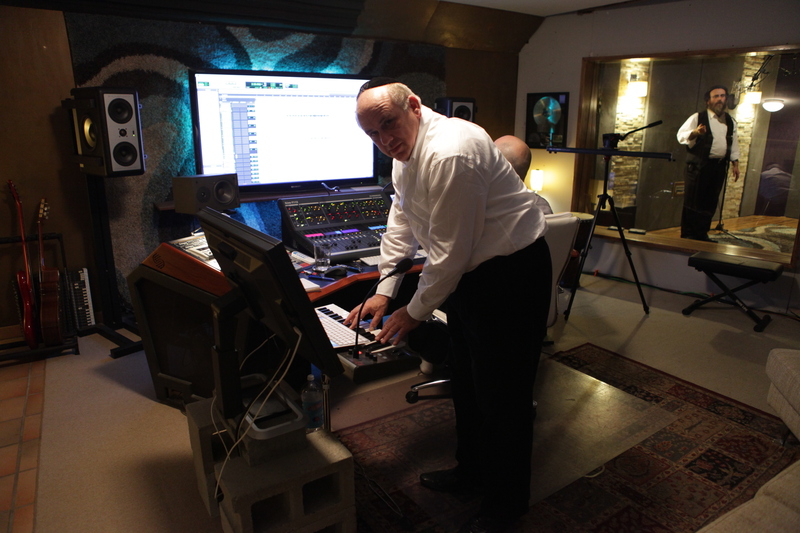 It is an album of joy, emotion, and inspiration dedicated to all B’nei Torah, Avreichem, Yeshiva student, activists, young returnees and all of Acheinu Beis Yisrael. 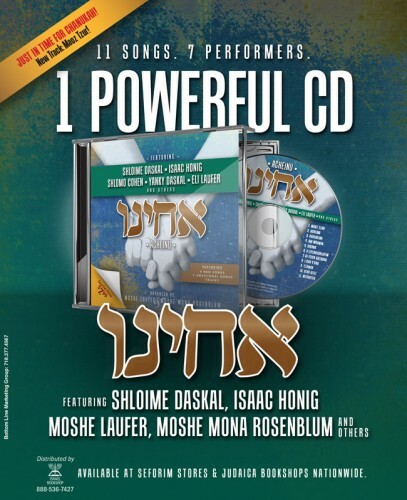 11 songs, featuring 7 performers, in one amazing and powerful CD. 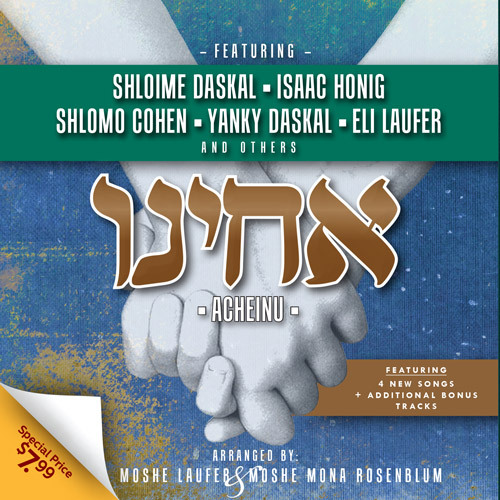 Achienu, with Shloime Daskal, Isaac Honig, Moshe Laufer, Mona Rosenbblum, Eli Laufer, Avremi Roth, Shlomie Cohen, Efraim Manat and Yanky Daskal. The release also features Maoz Tzur for Chanukah. 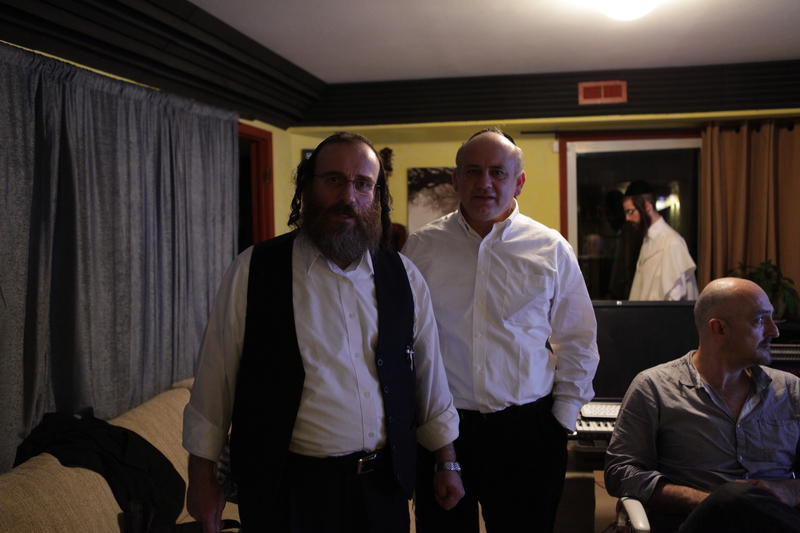 You can hear a great interview about this disc and this organization at Nachum Segal here.